Expanded Notifications – So much to do and keep track of, so little time in the day. Now you can get reminders about meetings or appointments from your calendar, and you can either tap once to snooze them or even email participants to say you’re running late. Your Google Play Music controls show up in the notifications menu so you can pause, fast forward or go back to the beginning of your new favorite song. These and many other notifications help organize your mobile life all in one place. Voice Search – Ask a question and get back the answer you’re looking for, ranging from “What is the weather today?, to “Where is the closest dry cleaner?” or even “When is Abraham Lincoln’s birthday?”. You’ll either get a spoken response back or search results that answer your query. Google Now – We could all benefit from a personal assistant every now and then to keep track of our busy lives. With Google Now you get notifications generated automatically and in real-time even before you ask as it learns what you search for the most. Now your ELECTRIFY™ 2 can deliver sports scores, stock updates, weather reports, traffic updates, airline boarding passes, movie showtimes, and so much more, so you have all the information you want even before you’ve had your morning coffee. 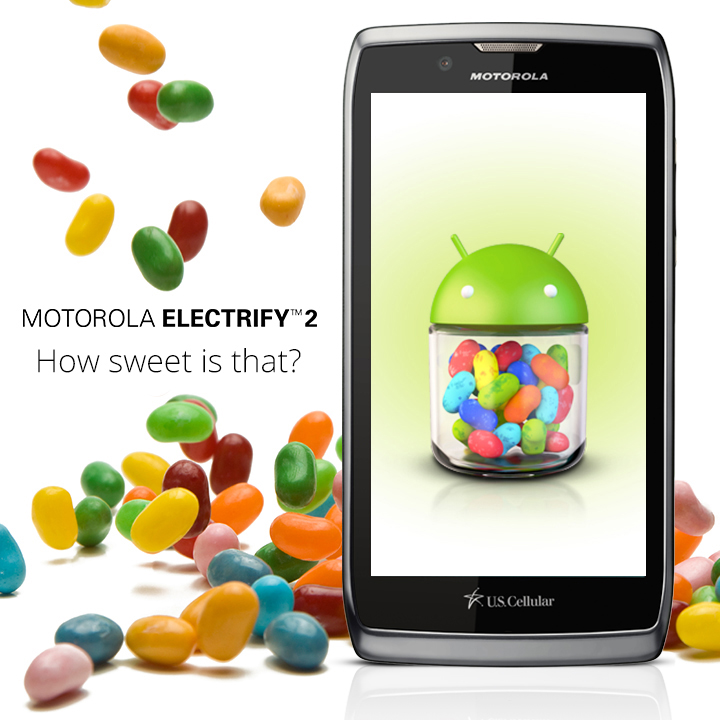 You should recognize most of those features, as they're all stock functions included with Jelly Bean. According to both Motorola and U.S. Cellular, the update should be creeping out OTA-style at this very moment. Go get it. Caedere Is A Game Built Entirely With Tasker, Because Why Not?